The highly invasive Callery pear (one cultivar of which is the Bradford pear), is blooming now across Missouri, or will be soon. Non-native Callery pear cultivars cross pollinate, creating hybrid offspring that spread aggressively with the help of foraging birds carrying fertile seeds. 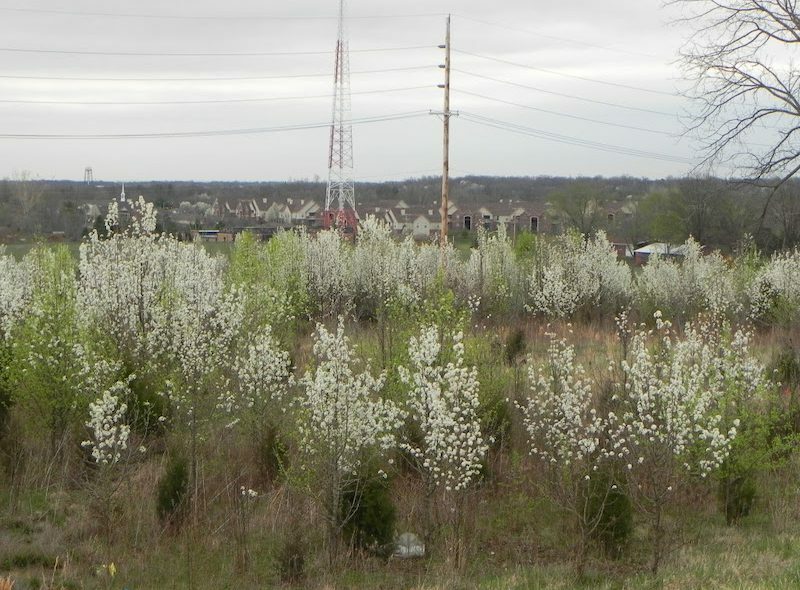 As part of its 2019 Callery pear awareness program—to call attention to the economic and environmental harm these trees pose—the Missouri Invasive Plant Task Force (MoIP) is teaming up with Grow Native! professional member Forest ReLeaf for a Callery pear “Buy-back” program on April 26. Participants will receive a free native tree from Forest ReLeaf if they provide photos of themselves with a cut-down, in-bloom Callery pear in their yards. One native tree per cut-down Callery pear can be picked up at Forest Releaf CommuniTree Gardens Nursery in Creve Coeur Park (2194 Creve Coeur Mill Rd) on April 26 from 9 a.m. to 4 p.m., while supplies last. For more information about Callery pear and suggested native Missouri trees to replace it, visit the “Plant This, Not That” resource on the MoIP website.